Often I need to recall the different \tracing commands; and a couple of times I stumbled on some webpages that worked fine for me; sadly, I didn't keep them, and my searches don't take me there anymore. So I thought I'd ask about links to where one can read a list of \tracing commands? .. but, I'm pretty sure there was something like \tracingboxes (and not so sure if there was something like \tracingglues); yet I cannot find any resources mentioning those. \tracingcommands [pi] if positive, writes commands to the .log file. \tracinglostchars [pi] if positive, writes characters not in the current font to the .log file. \tracingmacros [pi] if positive, writes to the .log file when expanding macros and arguments. \tracingonline [pi] if positive, writes diagnostic output to the terminal as well as to the .log file. \tracingoutput [pi] if positive, writes contents of shipped out boxes to the .log file. \tracingpages [pi] if positive, writes the page-cost calculations to the .log file. \tracingparagraphs [pi] if positive, writes a summary of the line-breaking calculations to the .log file. \tracingrestores [pi] if positive, writes save-stack details to the .log file. \tracingstats [pi] if positive, writes memory usage statistics to the .log file. Those marked with [pi] take a parameter argument in the form of an integer. For example, one would use \tracingcommands1. \tracingassigns [pi] When the program is compiled with the code for collecting statistics and \tracingassigns has a value of 1 or more, all assignments subject to TEX's grouping mechanism are traced. \tracinggroups [pi] a further aid to debugging runaway-group problems, \tracinggroups (an internal read/write integer) causes e-TeX to trace entry and exit to every group while set to a positive non-zero value. \tracingifs [pi] When \tracingifs has a value of 1 or more, all conditionals (including \unless, \or, \else, and \fi) are traced, together with the starting line and nesting level; the \showifs command displays the state of all currently active conditionals. \tracingscantokens [pi] an internal read/write integer, assigning it a positive non-zero value will cause an open-parenthesis and space to be displayed whenever \scantokens is invoked; the matching close-parenthesis will be recorded when the scan is complete. If a traceback occurs during the expansion of \scantokens, the first displayed line number will reflect the logical line number of the pseudo-file created from the parameter to \scantokens; thus enabling \tracingscantokens can assist in identifying why an seemingly irrational line number is shewn as the source of error (the traceback always continues until the line number of the actual source file is displayed). These additions are explained in the e-TeX system documentation. <int> ≤ 0: no specific colour logging. <int> ≥ 1: ignored colour definitions due to \providecolor are logged. <int> ≥ 2: multiple (i.e. overwritten) colour definitions are logged. <int> ≥ 3: every command that defines a colour will be logged. <int> ≥ 4: every command that sets a colour will be logged. Also note that the commands in this section will not automatically issue any error messages if patching fails. Instead, they take a <failure> argument which should provide suitable fallback code or an error message. Issuing \tracingpatches in the preamble will cause the commands to write debugging information to the transcript file. Enables tracing for all patching commands, including \ifpatchable. The debugging information will be written to the transcript file. This is useful if the reason why a patch is not applied or \ifpatchable yields <false> is not obvious. This command must be issued in the preamble. <number> = 1. 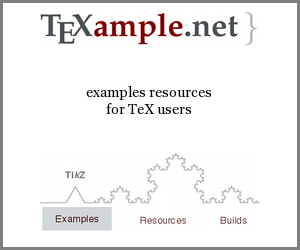 TeX will now tell you, whenever it enters or leaves a multicols environment, the number of columns it is working on and its decision about starting a new page before or after the environment. <number> = 2. In this case you also get information from the balancing routine: the heights tried for the left and right-most columns, information about shrinking if the \raggedcolumns declaration is in force and the value of the unbalance counter if positive. <number> = 3. Setting <number> to this value will additionally trace the mark handling algorithm. It will show what marks are found, what marks are considered, etc. To fully understand this information you will probably have to read carefully trough the implementation. <number> >= 4. Setting <number> to such a high value will additionally place an \hrule into your output, separating the part of text which had already been considered on the previous page from the rest. Clearly this setting should not be used for the final output. It will also activate even more debugging code for mark handling. If this declaration is made, say in the document preamble, then all following tabularx environments will print information about column widths as they repeatedly reset the tables to find the correct widths. As an alternative to using the \tracingtabularx declaration, either of the options infoshow or debugshow may be given, either in the \usepackage command that loads tabularx, or as a global option in the \documentclass command. To stop tracing somewhere in the document use \tracefloatsoff and to see the current value of various float parameters use \tracefloatvals. As the package is identical to the kernel code with tracing added, it may or may not work if you load any other package that manipulates that part of the kernel code. In such a case your best bet is to load fltrace first. Write all information about font changes, etc. but only to the transcript file unless an error occurs. This means that information about font substitution will not be shown on the terminal. Show all font warnings on the terminal. This setting corresponds to the default behaviour when this tracefnt package is not used! Show all font warnings and all font info messages (that are normally only written to the transcript file) also on the terminal. This is the default when this tracefnt package is loaded. In addition to what is shown by infoshow, show also changes of math fonts (as far as possible): beware, this option can produce a large amount of output. Show the names of external font files when they are loaded. This option shows only 'newly loaded' fonts, not those already preloaded in the format or the class file before this tracefnt package becomes active. Turn all font warnings into errors so that LaTeX will stop. Warning: The actions of this package can change the layout of a document and even, in rare cases, produce clearly wrong output, so it should not be used in the final formatting of 'real documents'. If nonzero, reports where fonts are found in the log file. How to influence the position of float environments like figure and table in LaTeX? Does etoolbox's \ifboolexpr use lazy evaluation? Visual debugging of lengths in paragraphs and environments? Goto or jump command in LaTeX?